It’s awfully hard to review a movie called The Hawk Is Dying without avoiding bird synonyms and metaphors. When the movie is as insufferably lugubrious and full of clobbering metaphors as this one, however, they flutter to you with great wingspan. All too obviously adapted from a book, and clumsily so, dispatching any sort of cinematic language in favor of the all-too-typical “indie” style, which usually means overqualified actors staring pensively at objects and cinematography a shade darker than is truly necessary. 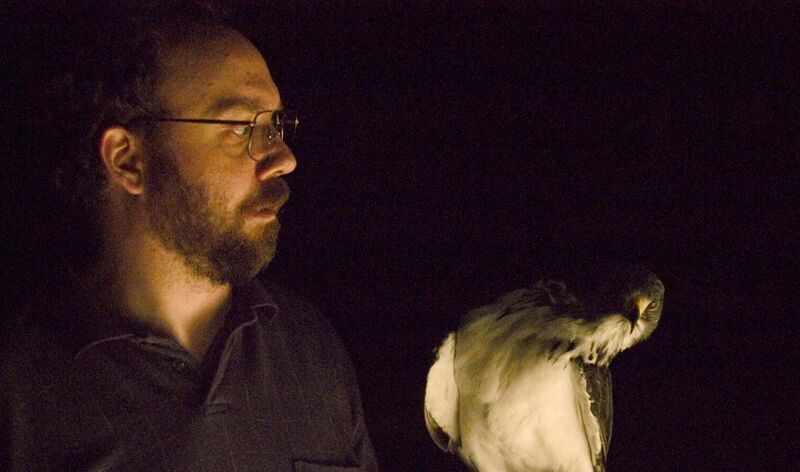 And here’s the rarest bird of all: it features the excellent Paul Giamatti’s first ever truly overwrought performance. Not that you can blame him for trying to stir some emotion into this leaden turkey, playing a Florida-based auto upholsterer who has a serious attachment to the title feathered friend. He is surrounded by his divorced sis (Rusty Schwimmer), whom he lives with, her autistic son (played, of course, by Michael Pitt), and a psychology student (Michelle Williams), who he sometimes sleeps with. The lead role is yet another growling, middle-aged shuffler for Giamatti, though it’s desperately missing the soulful reserve he brought to his under-heralded performance in last year’s Lady in the Water (everyone was too busy throwing brickbats at M. Night Shyamalan to realize that the central performer was giving probably the most varied and interesting portrayal in any of the director’s films). And everyone else plays variations on their repertory too: Williams is sullen with a sort of pouty allure, Schwimmer is brash and maternal, Pitt plays someone with a handicap. (And let’s not even get into how the movie utterly wastes The Wire’s sly Robert Wisdom). But all the studied pointlessness and dead air doesn’t allow these perfectly capable actors to breathe any life into their roles. It’s central object may live to be airborne, but this dud never once manages to fly.